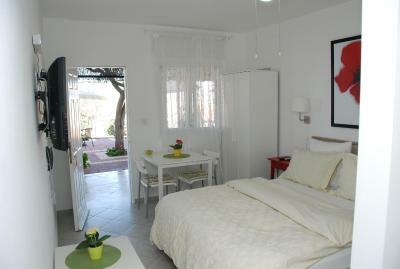 Lock in a great price for Villa 1000 – rated 8.7 by recent guests! 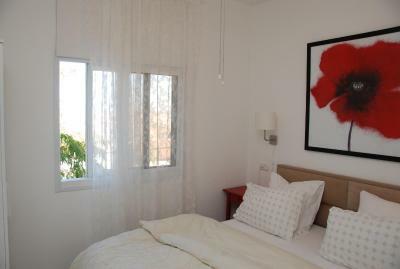 The view is amazing, very quiet place, relaxing, the bed was very good and the sheets were soft and clean. 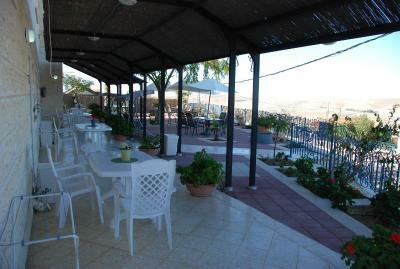 This is the best place in arad for the best price. 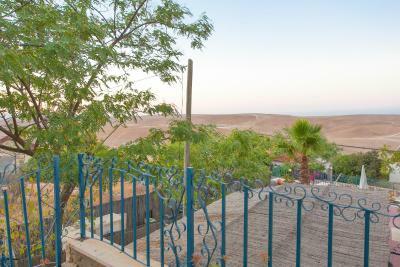 Close to Masada restaurants and the dead sea. Very clean and comfortable. Host was knowledgeable about everything we wanted to see and do from calling and making a reservation for dinner through to do some washing for us. Very friendly and welcoming. Clean room. Comfortable bed. 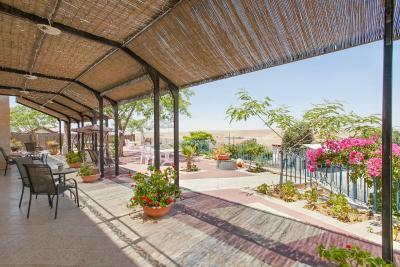 Nice patio with view of the desert. Owner very helpful. Great stay at Villa 1000. Super clean, easy check-in. Our host Rachel was very helpful and friendly. She recommended things to do in the area and took care of reservations for dinner for us. Great patio to relax outside. 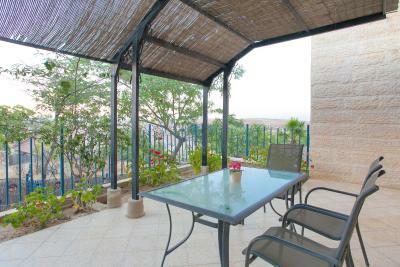 Property is well maintained and in a quiet neighbourhood. Bathroom had all supplies needed such as soap, shower gel and shampoo. Clean bed linens and clean sheets. AC and ceiling fan worked well. Wi-fi and TV worked well. 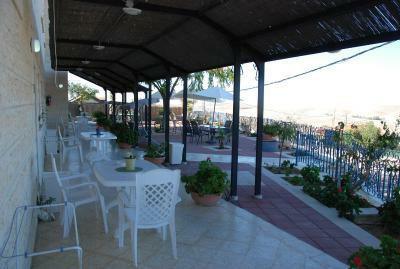 Host supplied us with a clothes rack to hang our wet towels and swimsuits after our swim at the Dead Sea. I would highly rwcommend Villa 1000.
helpful host. 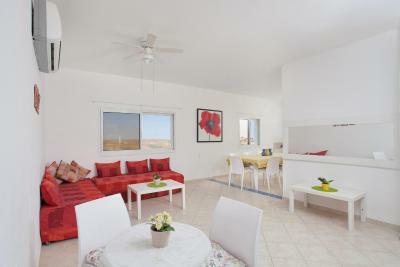 Villa located very close to the desert, close to Masada National Park. 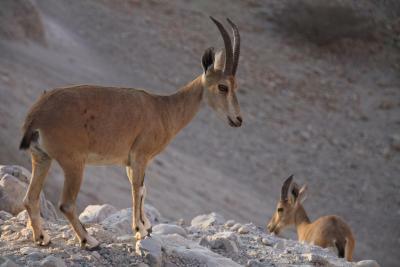 The host was nice, the bed very comfortable, the drive from En Bokek up to Arad is really pretty. If you have a car there are quite some nice restaurants closeby. The host gave us some recommendations on restaurants since it was Sabbat when we were there. The owners son was more than helpful and very approachable! The room was clean, it had a fridge, WiFi was good. Nice quiet location. Can get the number 1 or 11 bus into town where the central bus station is also located.The bus stop is less than a minutes walk away from the apartment or its a 25 minute walk into town (map provided by owner). Overall would highly recommend. If you have a hire car there Is parking at the front. Rochelle was unbelievably friendly and welcoming! 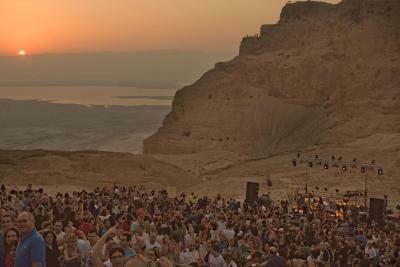 We felt at home straight away and highly recommend her place to anyone wishing to stop by Masada and the Dead Sea. 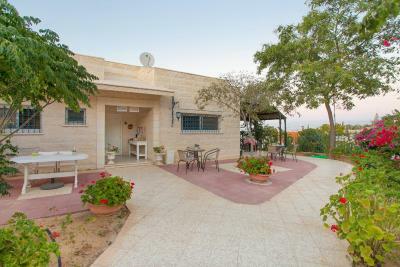 Offering free WiFi and a peaceful garden, Villa 1000 is a property located in the small town of Arad in the Judean Desert. 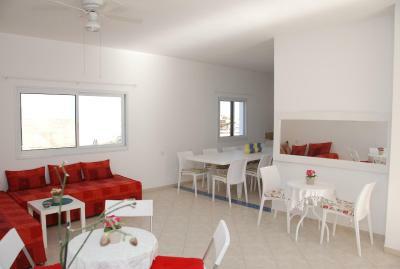 It features air-conditioned accommodations with cable TV. 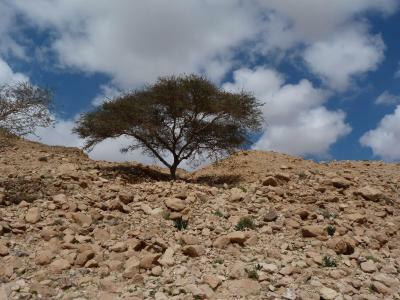 All with views of the Judean Desert, rooms have a private bathroom, a kettle and a fridge. 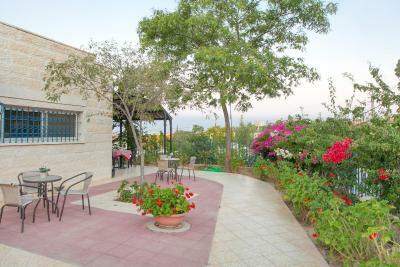 Villa 1000 has a quiet location and takes its name from the fact it is 3,281 feet above the Dead Sea level. 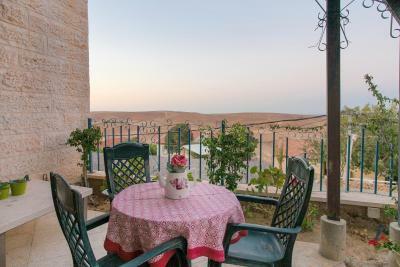 The property is a 30-minute drive from the Dead Sea and 30 mi from the center of Beersheba, the main city of the Negev area. 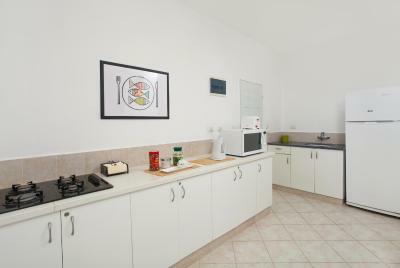 When would you like to stay at Villa 1000? 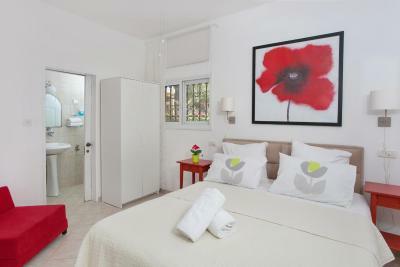 This unit features a double bed and has direct access to the patio and the garden. 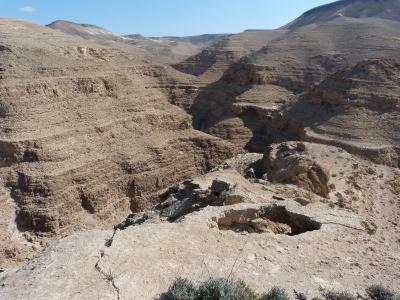 It overlooks the Negev Desert. Wi-Fi is free. Cannot accommodate extra beds nor cots. 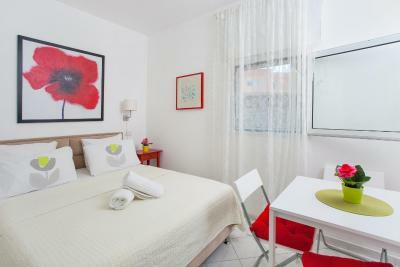 This double room has a balcony, cable TV and sitting area. House Rules Villa 1000 takes special requests – add in the next step! This country house does not accommodate children. Villa 1000 accepts these cards and reserves the right to temporarily hold an amount prior to arrival. Guests need be quiet between 7:00 PM and 10:00 AM. If you plan to arrive after 19:00, please inform the property in advance. This can be noted in the Special Requests box during booking or by contacting the property using the contact details found on the booking confirmation. Check-out after 10:00 is not possible. Please make sure that the name on the credit card used for the booking corresponds to the guest staying at the property. Good view if it is not raining - which it was. Our room was pretty small but okay for one night. Communication with staff, they provided us with all necessary information and replied to emails quickly. The bathroom could be renovated, but was ok and clean. In Europe in such a location I think that price would be around 50€/night. But this is conform to Israeli prices. Bed was comfortable. Place was quiet. Location was good. 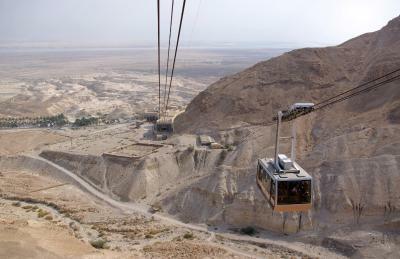 Masada and Dead Sea was quick to reach. Racheli was very nice, warm and helpful. Everything was perfect,there was some minor things in the bathroom that were related to maintenance which I'm sure will be fixed in no time but they did not damaged the overhaul experience. The owner was super nice, kind and very helpful. Air con kept turning itself off at night but this wasn't a big issue.